Wake me up when November ends. 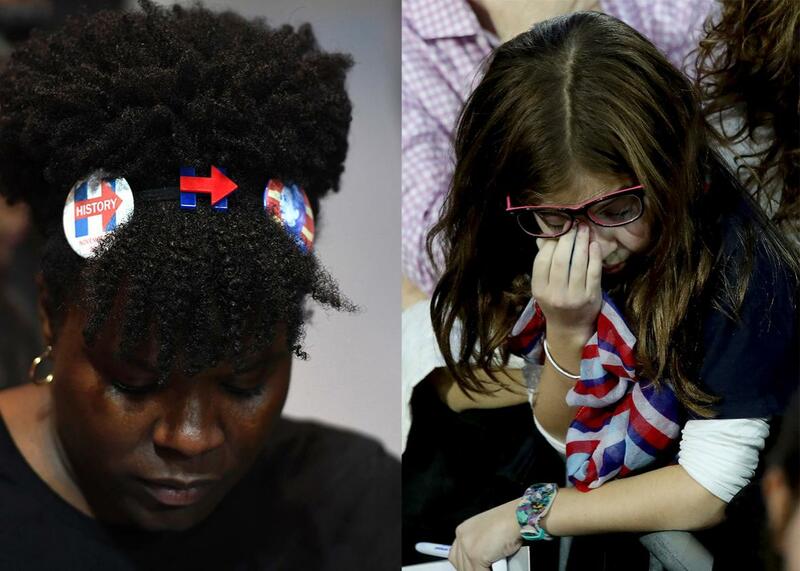 Six hours ago, Hillary Clinton was on the verge of becoming America’s first female president, offering respite to all those people that her opponent had mocked, maligned, and threatened, and inspiration to a world’s worth of women. What did you feel then? A kind of gentle, nervous elation, a slight rise in the shoulders? Was there a feeling for a thousand “I voted” stickers on the grave of Susan B. Anthony? You know how it feels now. 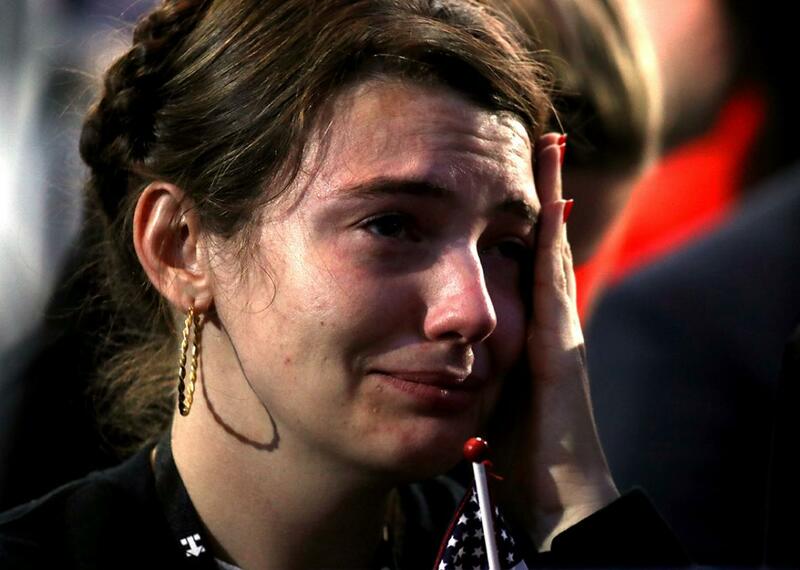 The way your chest tightened when Broward County’s late votes failed to dent Trump’s lead in Florida, the way your face sank into your hands when Virginia came in so slow and Pennsylvania just didn’t come. You texted your parents, your ex. You denied the polls and probabilities, started to look awfully closely at certain Michigan counties. You believed, to the core, that this would be a cakewalk for Hillary Clinton. Did anyone ever fall so far so fast? 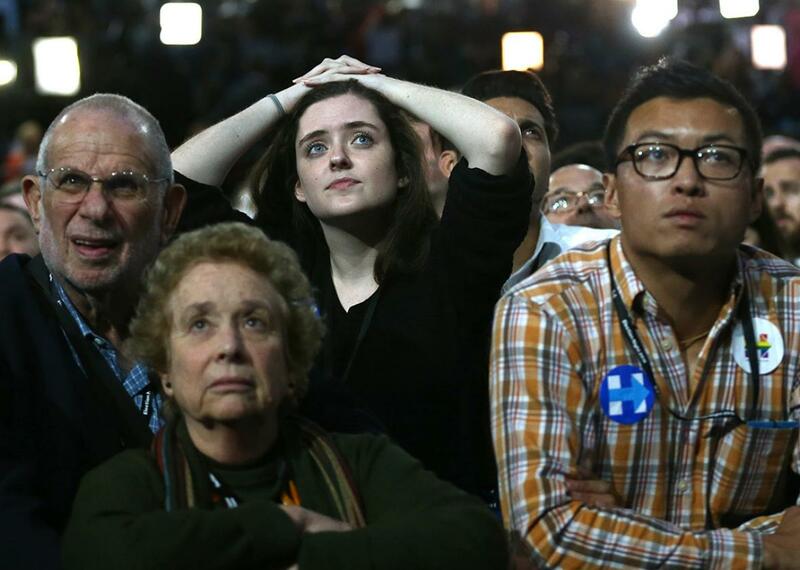 Supporters of Hillary Clinton react at her election night rally in Manhattan on Tuesday. 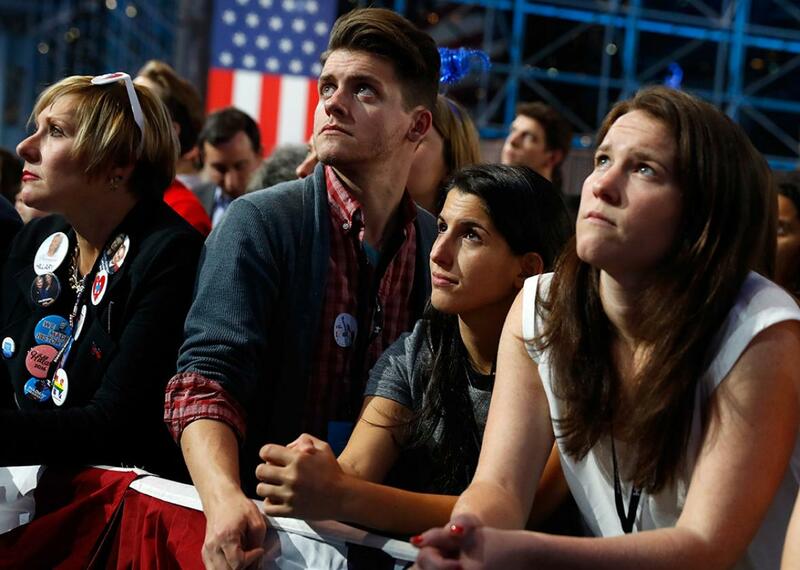 People watch voting results at Clinton’s election night event at the Javits Center in New York City. 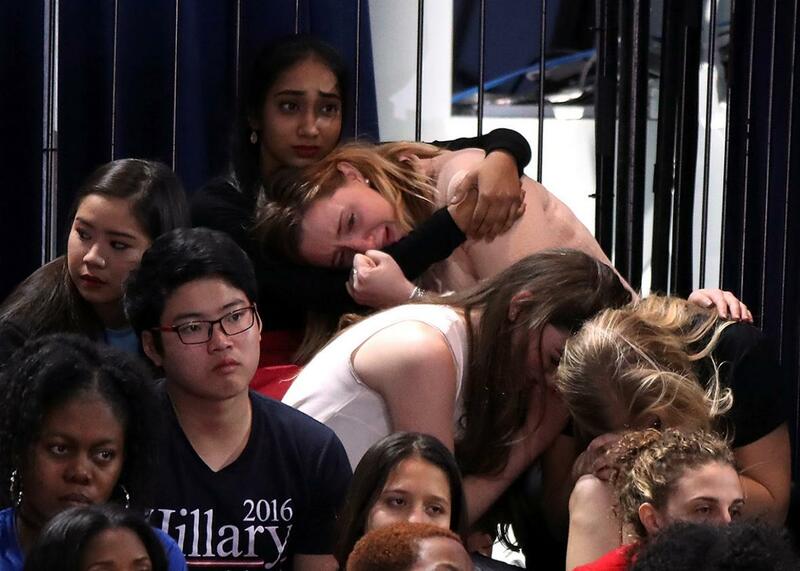 Supporters of Hillary Clinton watch the results come in. 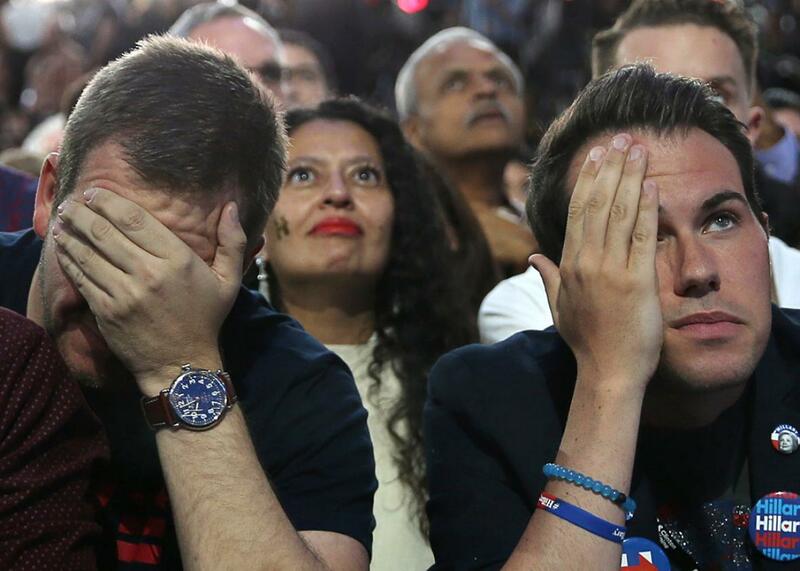 Watching, waiting, and despairing as Tuesday’s results rolled in. Clinton supporters in New York at the Jacob K. Javits Convention Center on Tuesday in New York City. 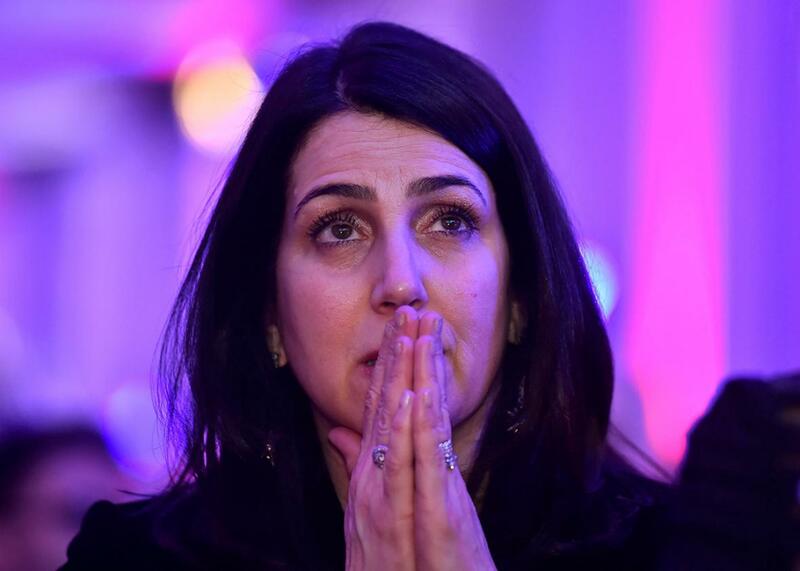 A woman reacts to the TV coverage of U.S. presidential election results during an election party at the U.S. Embassy in London on Wednesday. 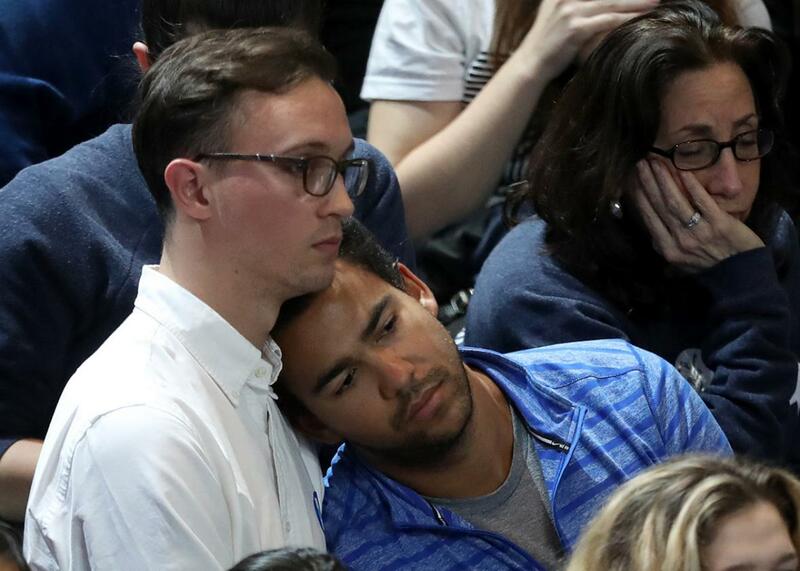 Supporters of Hillary Clinton watch results at her election night rally in Manhattan on Tuesday. 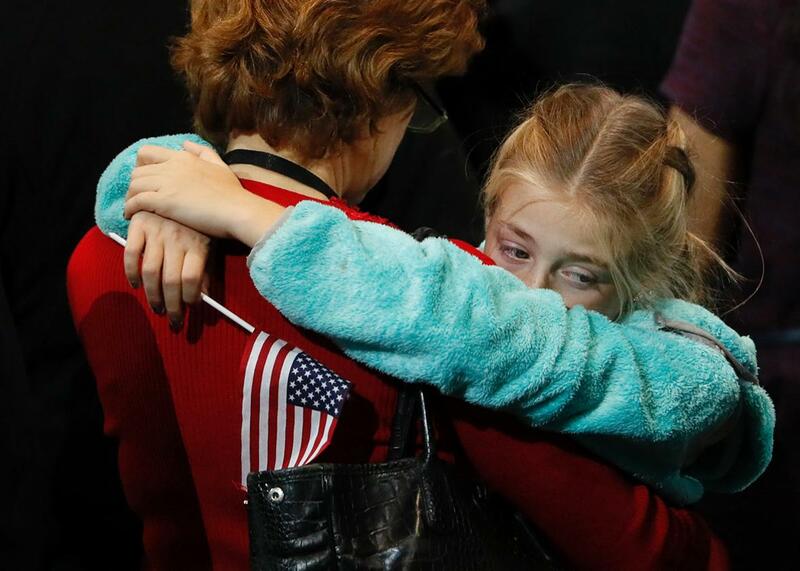 A woman wipes her eyes as she watches voting results come in at the Javits Center. 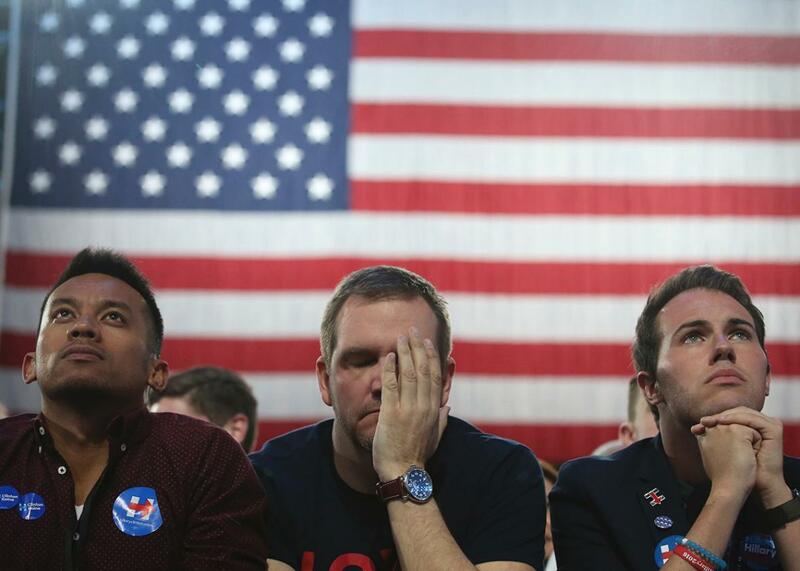 Supporters of Hillary Clinton react as they watch results at the election night rally in New York on Tuesday. 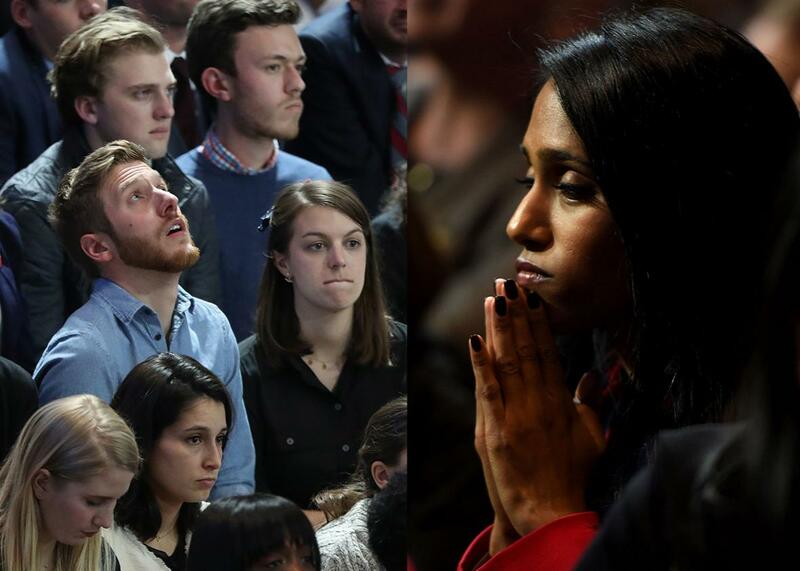 Supporters Hillary Clinton watch and wait at her election night rally in New York on Tuesday. People watch voting results at the Javits Center. 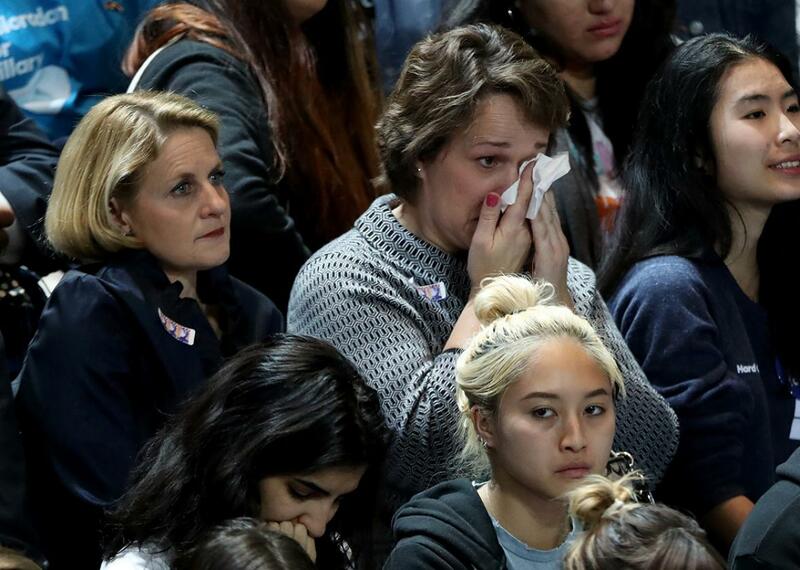 A woman reacts to results on Tuesday night at the Javits Center. Two men watch voting results at the Javits Center. 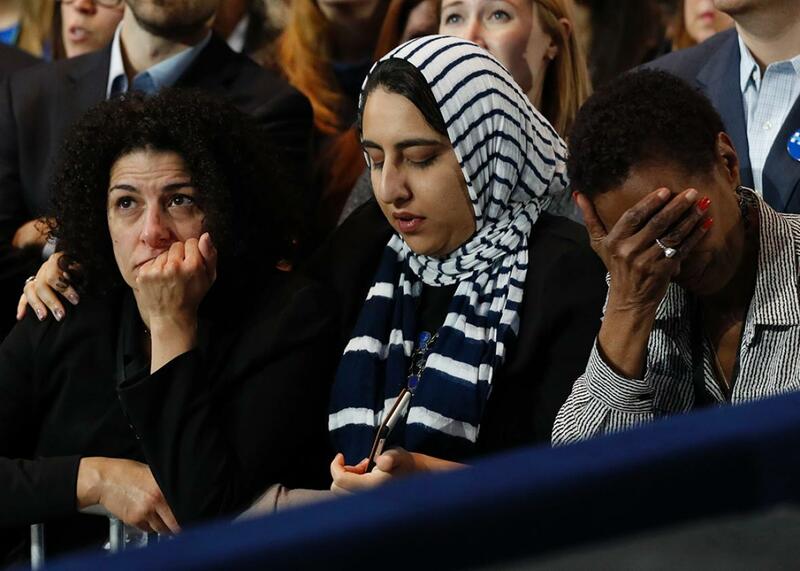 A group of women react as voting results come in at the Javits Center.